FARMINGTON TWP., Pa. (EYT) – A memorial ride, dinner, and benefit are being organized for the family of a Tionesta woman who passed away in September. 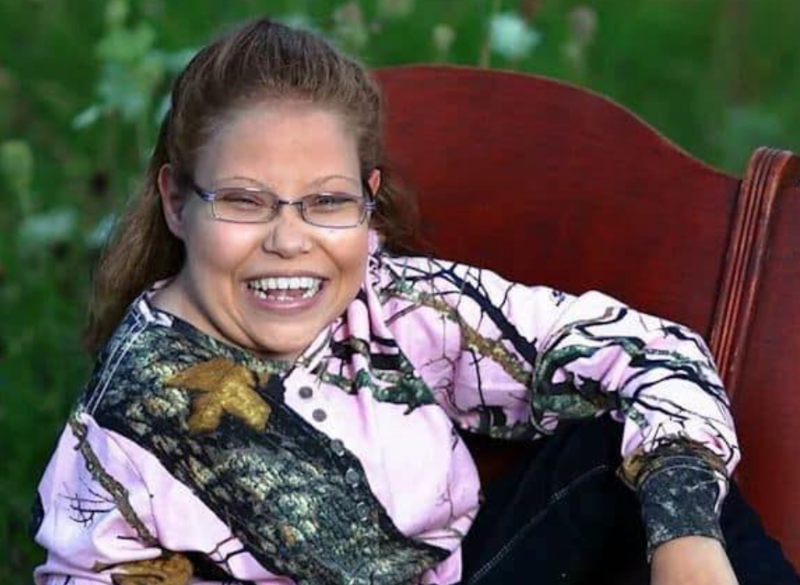 The Arinna’s Ride event, which will include a memorial ride, dinner, raffle, 50/50, and Chinese auction to benefit the family of Arianna Evans, is scheduled for Saturday, February 23. Arianna, the daughter of Bill and Laura Brent Evans, was known as North Clarion’s biggest fan. She was a constant fixture at any North Clarion basketball game, home or away. 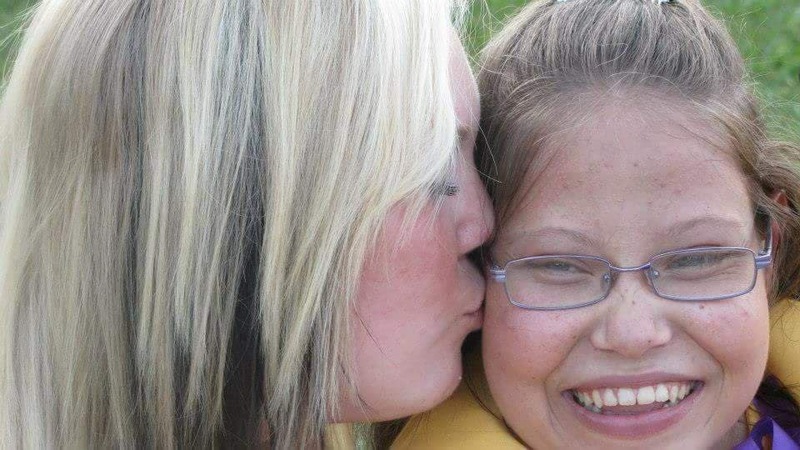 Born with Spina Bifida, Arianna was also an avid fan of outdoor sports. She enjoyed fishing and kayaking, as well as hunting with her father. Following her passing, Tyler Thomas, who graduated with Arianna and was one of the basketball players during their shared time at North Clarion High School, had the idea to hold a raffle to help raise money for Arianna’s family. “They had excess health bills and funeral costs on top of college expenses for the other children of the family and Arianna’s mother pursuing a nursing degree,” Thomas noted. He first approached two other former classmates, Christina Rizer and Dylan Huet, with the idea, and Huet suggested a memorial ride, in addition to the raffle. Joey LaCombe, who was a 2012 North Clarion graduate, and Andrew McCullough, who also graduated in Arianna’s class, then became involved with helping Huet create the trails. According to Thomas, Rizer was a driving force behind the organization and planning processes and was also a key part in advertising for the event when they were starting out, while Thomas focused on obtaining prizes and organizing for the raffle. Arianna’s father, Bill Evans, said that Thomas contacted their family within a day of Arianna’s passing, saying he and some others wanted to do something in memory of Arianna and to raise money for the family. “Arianna was a very inspiring and grateful person, and we wanted to show our appreciation for her by raising money for her family,” Thomas said. According to Evans, although they were unable to have life insurance for Arianna, due to her pre-existing condition, her funeral expenses have already been covered. “The community came together, along with friends and family, so that’s essentially taken care of,” Evans said. Evans said they have also considered sponsoring a child for a Hunt of a Lifetime program, which Arianna experienced in 2009, as well as sponsoring a child at the Heavenly Gaits Therapeutic Riding Center, a program that Arianna also benefitted from. With a plan for the event and several ideas for the money to be raised, Thomas then approached the Farmington Township Supervisors who gave limited approval for the use of parts of township roads for the benefit ride portion of the event on December 5. While that allowed the organizers to move forward with the planning, there are still details to be worked out, as the organizers are still waiting for written permission from two landowners for trails on private property before formalizing the route of the ride. “A majority of the route is set in stone; there are just a few things that still need to be worked out,” Thomas said. The event will span most of the day, with registration for the ATV Memorial Ride beginning at 8:00 a.m. at the Farmington Township Volunteer Fire Company, located at 6785 Route 36 in Leeper. The ride will begin at 9:30 a.m. and end around 2:00 p.m. The accompanying spaghetti dinner will be available at the Farmington Township Volunteer Fire Company from 11:00 a.m. to 5:00 p.m. with a memorial service to follow at 5:00 p.m. Live music will be provided by East Creek Road, a band from Indiana, Pa.
At 5:30 p.m., the drawings for the 50/50, Chinese auction, and raffle prizes will be held. Current raffle prizes include a Lake Erie Fishing Charter, a Thompson Center 30-06, a crossbow, a mystery tackle box, a $500.00 fireworks gift certificate, a two-night cabin stay package, a Cook Forest package, a custom fishing rod, and more, with new prizes still being added. Those drawn for the raffle prizes do not have to be present at the drawing to win. The organizers are still accepting prize donations for both the raffle and the Chinese auction, as well as donations toward the food for the dinner. Tickets for the event are not yet available. For information on tickets, additional prizes, as they are added, or to contact the organizers, check out the Arianna’s Ride event page on Facebook.